Melbourne’s annual celebration of all things delicious and quaffable, the Melbourne Food and Wine Festival, is back again for 2019 and this year the festival is spreading its wings with an exciting regional program of events throughout Geelong and the Surf Coast. While there’s a whole list of awesome events, the Surf Coast BBQ Block Party is something that’s caught our eye. Coined the best pit-smoked barbecue gathering on the coast, this event presents a quadruple threat for fans of American pit-smoked barbecue. 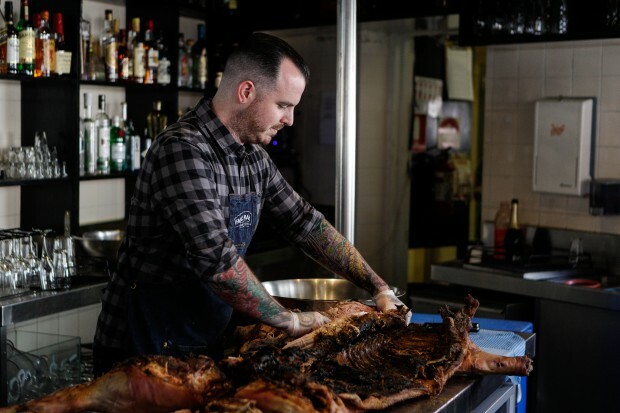 Fancy Hank’s Executive Chef Mike Patrick and Elliot Moss from Buxton Hall BBQ in North Carolina are teaming up with Igni’s Aaron Turner and Captain Moonlite’s Matt Germanchis for the best barbecue party the surf coast has ever seen on Saturday 16th March. Surf Coast BBQ Block Party brews will be served by Blackman’s Brewery from Torquay and wines from Oakdene, showcasing the best local produce from the region. It goes down from 1pm to 6pm at Captain Moonlight in Anglesea. Tickets can be purchased via the website.